You can create a procedure that runs automatically each time a user right-clicks on a particular chart with the mouse. To create this type of procedure, you need to capture the BeforeRightClick event associated with the appropriate Chart object. To create a procedure that executes when a user right-clicks a chart, you create a new procedure and add it to the object code module for the particular chart. In fact, all event-handling procedures that you create for monitoring chart events must reside within the appropriate chart object code module to have Excel execute them automatically. To create a procedure that executes when right-clicking a chart, you name the procedure Chart_BeforeRightClick. Chart_BeforeRightClick procedure that calls procedures located in another module. The procedures you create only execute for the chart in whose code module you place them. If you want to have the procedure execute for multiple charts, you copy the procedure to each module. The BeforeRightClick event has one parameter, Cancel, that passes to the event when it triggers. If the Cancel parameter has the default value of False, the right-click event procedure performs after your procedure executes. 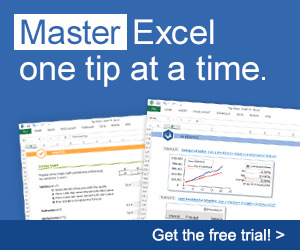 If you set the value of the Cancel parameter to True, Excel does not perform the default procedure. Keep in mind, Excel does not perform the BeforeRightClick event if the mouse pointer is over a shape, a toolbar, or a menu bar. See Chapter 14 for more information about working with charts. ^Q In the Projects window, double-click the chart object node for the chart where you want to place the Chart_BeforeRightClick subroutine. ■ The code module opens for the chart object. -0 In the Object box, click □ and then the Chart option. < In the Procedure box, click 3 and then the BeforeRightClick option. This code checks the value of the ElementID parameter to determine what element of the chart was selected. You can use the following constants to represent the chart element you want to capture. Q Type the VBA code to run when the user right-clicks the chart. ■ The Visual Basic Editor creates a new Private subroutine named Chart_BeforeRightClick. ■ The Chart_BeforeRightClick procedure executes the specified VBA code.